MONBETON DE BROUILLAN, JACQUES-FRANÇOIS DE, governor of Placentia (Plaisance) and of Acadia, knight of the order of Saint-Louis; b. 1651; d. 22 Sept. 1705 at Chedabouctou (Guysborough, N.S). Brouillan belonged to a family of Protestant noblemen named Monbeton that came from Gascony. His grandfather married Isabeau de Brouillan, the last to inherit this title, and took the name, which their descendants also bore. Jacques-François was the son of Jacques de Monbeton de Brouillan and Georgette Pouy. He was sometimes given the surname Saint-André. Seven of his brothers died in battle. He himself joined the colonial regular troops, was made captain then adjutant, and received several wounds from which he suffered all his life. Brouillan came to Canada in 1687, as captain of a company. He had previously been a Protestant, but was baptized at Quebec. He returned to France in 1689 at the same time as Brisay de Denonville, who recommended him strongly. On 1 June of that year he was appointed governor of Placentia with a salary of 1,200 livres. Several untoward events delayed his departure; he did not receive his orders until 1 Feb. 1691, and he left in the spring on a king’s ship, the Joly. The French settlements in Newfoundland were at that time in a deplorable state, and the minister of Marine had decided to make an attempt to reorganize the colony. Brouillan arrived at the beginning of the summer of 1691 with supplies and munitions, a contingent of 23 soldiers, and 25 fisher lads. He completed a stockade already begun by Louis Pastour, and set up batteries, using the cannon fished up from the bay. These preparations had not been finished before a small English ship attempted to surprise the settlers. Brouillan spent the winter completing his defences and began the construction of a new fort. These were wise precautions, for the following year Placentia was subjected to a more serious attack. In September a squadron of five ships, commanded by Commodore Thomas Gillam (Williams), appeared before the fort. The garrison still comprised only 50 men, but the governor obtained the help of the captains of the fishing boats and of 120 members of their crews. A frigate, with Lahontan [Lom d’Arce] aboard, had also just arrived from Quebec. The governor had a redoubt built on the top of an adjoining hill, and set up a battery at the entry to the port. After due notice and an exchange of envoys, Brouillan gave orders to open fire. The attackers fired 2,000 shots, without doing much harm. The besieged, who were short of powder and cannon-balls, could fire only 300, but their well-aimed fire seriously damaged the enemy flagship. The attackers weighed anchor and went to burn the buildings at Pointe Verte (Point Verde). Lahontan hastened to carry the news of this success to the court. The winter of 1692–93 was long and arduous. The supply ship had been shipwrecked. In the month of February several settlers were totally without food, and the governor had to have searches made in order to unearth hidden provisions and succour those most in need. The king expressed great satisfaction with the governor’s activity, and granted him a gratuity of 500 livres. The court also sent Lahontan back as king’s lieutenant. The governor disapproved of this promotion; he accused Lahontan of having intrigued to obtain it, and thought that Lahontan wanted to replace him; consequently a sharp rivalry sprang up between the two men. During the summer of 1693 the governor completed the town’s defensive system; he added to the fort’s batteries, rebuilt the mountain redoubt in stone, and constructed retrenchments along the shore. These preparations proved useful, for on 28 August an English fleet of 24 ships, serving under Sir Francis Wheler, cast anchor in the bay. Brouillan again had the entry to the fort blocked off and had cannons hauled up to the mountain redoubt; the next day he opened fire on the fleet. As the ships were preparing to force their way in, he had a fly-boat sunk in the middle of the channel and placed a row of merchant ships there. The timely outbreak of a storm drove the enemy ships between the cannon of the fort and the reef. After being under fire for four hours, the admiral deemed it more prudent to weigh anchor. A detachment went to burn down the establishments on the island of Saint-Pierre and captured two merchant ships. The following years brought a respite, during which the colony was able to breathe a little and regain its strength. The population remained more or less stable. The censuses of that period list some 50 resident families, including about 150 persons. The garrison, increased to 60 soldiers, received 40 more in 1694; the two companies thus formed were commanded by Saint-Ovide de Brouillan [Monbeton*] and Philippe Pastour de Costebelle. An engineer, Jacques L’Hermitte, arrived in 1695. Since 1692 Brouillan had been recommending to the court the organization of a naval expedition against St John’s. Two attempts, those of Digoine in 1692 and Saint-Clair in 1694, had failed. The governor, who went to France in the autumn of 1695, took up his idea again. 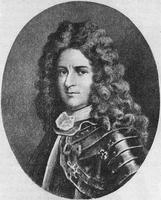 Furthermore, Pierre Le Moyne d’Iberville also put forward a plan of attack by land. The court decided to combine the two operations, but a regrettable animosity between Brouillan and Iberville prevented the plan of campaign from being carried out exactly. The orders provided that Brouillan should look after the general conduct of the operations and should direct the expedition at sea and that Iberville should command the expedition by land. Brouillan received a frigate, and a privateer from St Malo gave him the use of four merchant vessels fitted out for war, with two corvettes and two fire-ships. The governor therefore had under his command some 10 ships and 300 or 400 men. At the beginning of September, as Iberville, who was detained at Pemaquid, had not yet appeared, Brouillan decided to try his hand alone. He left Placentia on the ninth, took first Bay Bulls (Baie des Taureaux) then Ferryland (Forillon), and occupied Firmoose (Fermeuse), whose inhabitants had taken to the woods. He set up his base at Renews (Renoose) but did not succeed in taking possession of St John’s. The site of the town was defended by three forts, and warships rode at anchor in the harbour. Brouillan tried to force his way in, but bad weather intervened, and the sailors from St Malo decided not to risk their ships. Brouillan blamed them for his failure and had some of them court-martialed. This severity did not help at all. He consoled himself by taking some 30 fishing barks and boats, a number of prisoners, and several thousand codfish. He returned to Placentia on 17 October, with the intention of making up for his defeat by a winter campaign. The negotiations between Iberville and Brouillan gave rise to bitter arguments. The disagreement concerned at one and the same time the leadership of the undertaking, the plan of campaign, and the sharing of the booty. In this dispute Brouillan displayed a great deal of harshness and gave expression to inadmissible demands. Finally, Iberville agreed to attack St John’s rather than Carbonear, and the governor gave up the leadership of the expedition to Iberville. During this campaign Brouillan fought bravely, but neither he nor his soldiers, whom the Canadians ironically called “the jokers from Placentia” [“Messieurs les Plaisantins”], played the leading part. The campaign was nevertheless completely successful. After defeating a party of enemy scouts, the troops overcame 80 men concealed behind some rocks, and took the advanced posts. They were preparing for an assault on the principal fort of St John’s by burning down the surrounding houses, when the commandant decided to surrender, on condition that he be granted two vessels to make his way to England. The fort was burned to the ground, and Brouillan returned to Placentia by sea, while Iberville was continuing his campaign against the other Newfoundland posts. Brouillan went to France the following summer, and Joseph de Monic commanded in his absence. As the treaty of Ryswick soon brought peace, he took advantage of this to prolong his stay and take care of his health. He also attended to his interests: he received a gratuity of 500 livres, acquired for himself the cross of Saint-Louis, and obtained the reimbursement of 16,000 livres advanced during the St John’s campaign. During the four years that he spent in France, Brouillan kept the title of governor and drew the salary that went with it. He continued to correspond with the minister and with Placentia, but did not forget his own affairs, recruiting Basque fishermen and employing seven fishing shallops in Newfoundland. 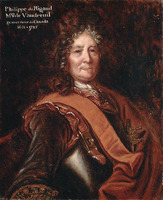 As Robinau* de Villebon’s death in July 1700 left the government of Acadia vacant, the king appointed Brouillan to this command on 28 March 1701. This appointment represented a promotion for him, for his salary increased to 4,000 livres. It did not, however, give him the title of governor, but only that of commandant, to mark the subordination of Acadia to the governor of Quebec. In possession of a supplementary gratuity of 500 livres, Brouillan set out at the beginning of May with a contingent of 40 soldiers and munitions of war. Contrary winds forced his ship to put in at Chibouctou (Halifax, N.S. ), so Brouillan took the opportunity to visit this fort, which delighted him. He then decided to go to Port-Royal (Annapolis Royal, N.S.) by land, proceeding via Les Mines (Grand Pré). He admired the prosperity of this village, but felt little sympathy for the independent spirit of its inhabitants, whom he described as “true republicans.” He persuaded them to open up a route towards Port-Royal, in order to help the capital in case of an attack. A war was indeed expected soon. Neither the minister nor the governor wanted it, for they were well aware of the colony’s weakness. Hence the king had enjoined Brouillan to maintain peace and to do nothing to provoke hostile acts on the part of the Indians. As soon as he reached Port-Royal, Brouillan called a meeting of the inhabitants, but he found them as intractable as those of Les Mines. However, he managed to obtain their cooperation for the building of a fort. He then left for the Saint John River, where he judged the fort to be useless and badly sited. He therefore had it pulled down, and shipped the materials to Port-Royal on the Gironde. During the autumn he had a temporary enceinte constructed, with a sunken road round it. Inside the enceinte he also built living quarters for the soldiers, and he organized the settlers into a militia company. That same autumn he sent to the court a long report, a sort of programme in which he set forth his ideas on the problems of the colony. Its chief resources consisted of wood and fish. The shipping of masts, which had been begun in 1701, could supply cargo for a number of vessels. Fishing might well become the country’s principal industry, but it had been completely ruined by 50 years of war and privateering. The settlers no longer possessed barks or riggings; they were discouraged, and no longer even knew how to fish. Brouillan offered to build barks, asked for rope to make nets with, and suggested bringing in fishermen from Placentia to initiate the Acadians in the art of fishing. Above all, one or two frigates were needed to cruise along the shores, in order to protect the fishermen. Taking up the proposals of Razilly*, Brouillan suggested establishing a powerful fort at La Hève (Lahave), which would become the chief post in the country. It would serve as a fishing port, but also as a naval base for relations with France, and it could intercept communications between England and her colonies. The settlers were strongly opposed to trade monopolies. Moreover the court, at this time, had already decided not to renew the privileges of the Compagnie de la Pêche Sédentaire de l’Acadie, and to make trading free. Brouillan also asked for the title of governor, and obtained it in February 1702. The War of the Spanish Succession broke out on 15 May 1702. This war, however, despite some sudden alarms and the capture of several supply ships by English privateers, did not result in an immediate attack on Port-Royal. The delay gave the governor time to complete the fortification. The minister had approved the plans of a new fort, partly in stone and partly in earthworks, and had authorized an annual grant of 20,000 livres. He also sent masons and carpenters, as well as an engineer named Labat. During this intermediary period the notables of Port-Royal, following their detestable custom, devoted their spare time to hearty squabbling. The first skirmish took place between the governor and the parish priest, Abbé Abel Maudoux, over a public market and the relocation of the church. In a second dispute Labat and Brouillan were at odds concerning the plans of the fort and the direction of the construction work. Finally Mathieu de Goutin, that incorrigible haggler, who was at one and the same time a writer, a judge, and a commissary of the Marine, was in daily conflict with the governor over the way justice was being administered and money was being used. Despite this wrangling the fortifications advanced, and in 1704 were almost completed. The garrison was then composed of 200 soldiers divided into four companies, and the settlers formed six militia companies. The governor had had a lime-kiln, a mill, barks, and a frigate constructed. At the first threat of war, the practice of making annual gifts to the Indians had been revived. Despite the absence of Jean-Vincent d’Abbadie de Saint-Castin, who was then in France, the Abenakis of Pentagouet (on the Penobscot River) remained loyal; but those on the Kennebec River let themselves be won over by their New England neighbours. In order to restore French prestige, the governor of Canada, Rigaud de Vaudreuil, launched several expeditions which ravaged the villages between Casco and Wells and sacked Deerfield [see Rev. John Williams]. By way of reprisal the governor of Boston, Joseph Dudley, organized a naval expedition, and as always this expedition proceeded in the direction of Acadia, the nearest and most vulnerable part of New France. It was made up of 3 warships and some 15 transports, manned by 550 militiamen. The commander, Benjamin Church, had already directed a similar expedition and ravaged Beaubassin, eight years before. The fleet set out from Boston at the end of May 1704, sailed along the coast, and destroyed the French settlements in the neighbourhood of Passamaquody Bay and Pentagouet. After taking some prisoners, among them a daughter of Saint-Castin, the Bostonians headed for Port-Royal. The French and English accounts (the latter by Church) present different versions of the events that followed. According to French sources, the English entered the basin on 2 July, burned down a few isolated houses, killed some cattle, and captured a number of settlers. On 8 July a party went to ravage Les Mines. The settlers put up some resistance, killing some men as the latter landed, and then taking to the woods with their cattle. The enemy burned down the houses and broke the dikes, thus flooding the land under cultivation. Another party went to Beaubassin, where it burned some 20 houses. Meanwhile the main body of the fleet, which had stayed at Port-Royal, attempted some landing operations. But Brouillan had sent parties of soldiers, settlers, and Indians to maintain firing along the banks. Church, after 18 days of waiting, unsure of his militiamen, and having no precise orders to attack Port-Royal, called a council of war, which decided on returning to Boston. Port-Royal therefore got off lightly, but the ravaged colony suffered from famine the following winter. Just before the siege Brouillan had obtained permission to go to France. Several reasons impelled him to do so. First his health: he was afflicted with gout, and a fragment of broken bone, the result of old wounds, protruded from his cheek. He also wanted to make known the state of the colony and to obtain reinforcements of men, equipment, and ships. But a more pressing motive required his presence at court. His authoritarianism and corrupt practices had provoked a host of complaints against him: he was taxed with having employed workmen from the fort on personal tasks, having seized a settler’s land in order to set up a menagerie on it, and having melted silver coinage to make plates and dishes; with carrying on trade through intermediaries and selling at excessive prices, protecting a liaison between Simon-Pierre Denys de Bonaventure and Madame de Freneuse [Louise Guyon*], and himself keeping Madame Barrat [see Claude Barrat]. Denunciations rained down so thick and fast that the minister began to show his disapproval. Among other excesses, the governor had subjected to torture three soldiers accused of stealing, by having matches burned between their fingers. One of them, who had remained crippled and had subsequently been acknowledged innocent, had gone to show the court his mutilated hands, and the king, “horrified at this cruelty,” had sentenced Brouillan to allot half pay to this soldier out of his own salary. Brouillan, whose three-year term had just expired, felt it necessary to go and avert the thunderbolt which threatened to strike him. After using a part of the winter to look after his health, Brouillan spent three months in Paris and Versailles. He succeeded in clearing himself of several charges, but the minister, not content with giving him rules of personal conduct, had delivered to him a statement signed by the king which contained precise instructions on several contentious points. However, despite the rebukes that he probably deserved, Brouillan’s prestige remained quite high at court. His oft-displayed valour, his energy, his success in repelling enemy attacks, had acquired for him the reputation of a brave soldier, on whom one could rely in this time of war. Provided with good recommendations, Brouillan therefore set out again, after obtaining a ship and reinforcements of men and munitions. But he was not to have the chance to utilize them. Still sick, he had had to delay his sailing several times. He finally sailed on the Profond, but had to go ashore at Chedabouctou, where he died on 22 Sept. 1705. His body was committed to the sea, like that of a sailor, and his heart was taken to Port-Royal, where Bonaventure, the acting commandant, had it buried near the cross on the cape. A few months later de Goutin wrote, by way of a funeral oration, that the country deemed itself well rid of a tyrant. This hasty judgement reveals the surly character of Goutin more than it expresses reality. In fact, despite his defects and his undeniable corruption, Brouillan, both at Placentia and at Port-Royal, proved himself a very effective governor. He organized the defence of these two posts and supported them courageously. 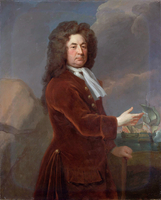 He displayed remarkable activity in several fields, and was original enough to seek to promote the economic growth of Acadia by developing the fisheries, exploiting the forests, and building ships. No doubt he often confused his personal interests and those of the king; no doubt he showed himself to be ambitious, authoritarian, and excessively hard towards his subordinates. But his irritability is explicable by his bad health, and there is no denying his bravery, or his devotion to the king’s service. AN, Col., B, 15–17; C11A, 22; C11C, 1–2; C11D, 3–5; F3, 7, 54; Marine, B3, 70, f.146. BN, MS, Clairambault 1306, f.218 bis. Acadiensia Nova (Morse), II, 1–5. Charlevoix, History (Shea), IV, 223, 275; V, 34ff., 157, 170–72. Coll. de manuscrits relatifs à la N.-F., II, 37–38, 332–34, 416ff. Journal de l’abbé Beaudoin (Gosselin). Lahontan, New voyages (Thwaites), letters XXIII, XXV. Bernard, Le drame acadien, 212–26. J.-M. Cazauran, La baronnie de Bourrouillan (Paris, 1887). Frégault, Iberville, 209–35. La Morandière, Hist. de la pêche française de la morue, I, 445–83. 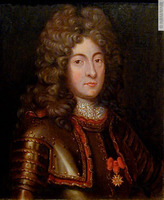 Le Blant, Philippe de Pastour de Costebelle, 70–71. Parkman, A half-century of conflict (1893), 116–20. Rameau de Saint-Père, Une colonie féodale, I, 310–13; II, 307–10. Robert Rumilly, Histoire des Acadiens (2v., Montréal, ), I, 159–72. J.-E. Roy, “Le baron de Lahontan,” RSCT, 1st ser., XII (1894), sect.i, 63–192. René Baudry, “MONBETON DE BROUILLAN, JACQUES-FRANÇOIS DE,” in Dictionary of Canadian Biography, vol. 2, University of Toronto/Université Laval, 2003–, accessed April 20, 2019, http://www.biographi.ca/en/bio/monbeton_de_brouillan_jacques_francois_de_2E.html.